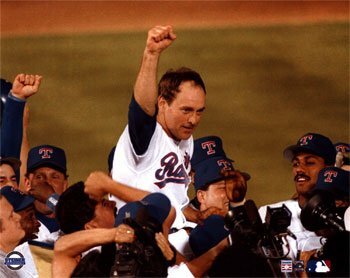 Nolan Ryan is nicknamed “The Express” because of his blazing fastball, Nolan Ryan placed plenty of fear in Major League hitters. Baseball’s all time strikeout king (with over 5,000) as well as the king of no- hitters (seven); froze batters at the plate with his nasty curveball that dropped off the table. Take a look at Nolan’s pitching mechanics and how his delivery truly is a work of art. There is much to say about how awesome of a pitcher Justin Verlander really is. 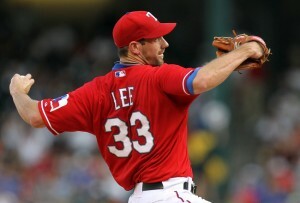 His stats are incredible and so were his no hit game this year, not to mention his first no-hitter in 2007. Justin is a true power pitcher. I was watching an interview with him today, a reporter asked how fast his fastest pitch was; he said once the radar gun showed 103 but he thought it could be a bit off; 101 was his final answer. 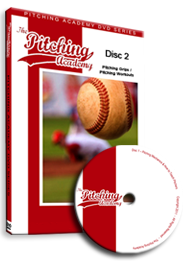 In this pitching video, I discuss how to increase velocity by leading with your hips and increasing your stride length. Too many pitchers lose a lot of power when they don’t take a long stride; they don’t generate enough momentum toward home plate. 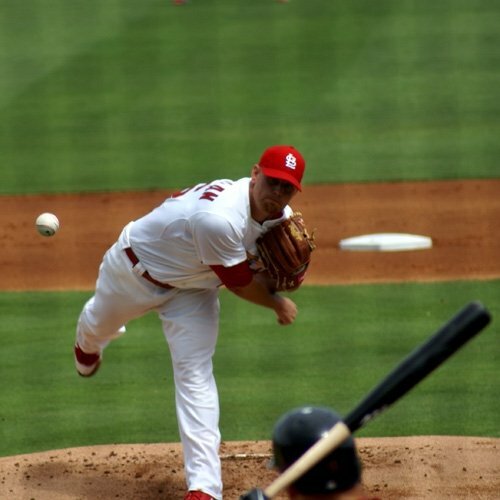 When a pitcher does not take a long stride they will end up using more of their throwing arm than they need to.To continue reading, click here. I enjoyed watching Curt Schilling pitch in the later part of his 20 year career. I don’t remember hearing too much about Schilling prior to the 2004 American League Championship series against the Yankees; although he was very well known and respected by many before then. Schilling became very well known during Game 6 of the 2004 World Series because he was pitching with a hurt ankle and the announcers kept showing his blood soaked sock.To continue reading, click here. Many of you know Brian Wilson of the San Francisco Giants because of his awesome beard; that’s no joke it is a sweet beard that has made him popular. 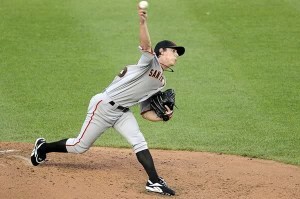 What makes him more popular in San Francisco is his outstanding pitching biomechanics. 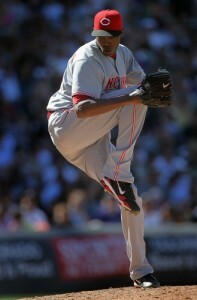 His stats are incredible and he is know to be one of the best closers in major league history. Now let’s take a look at Brian Wilson’s pitching mechanics and see where a lot of his pitching velocity is coming from.To continue reading, click here. Can the “Slide Step” Affect Pitching Mechanics and Velocity? Recently we have received a lot of questions regarding the slide step. Should I worry about the slide step or leave it alone? My coach wants me to do the slide step but I don’t feel comfortable doing it because I don’t feel I can throw hard like that. Hopefully this video will help all pitchers understand the difference between throwing an effective pitch from the stretch or implementing the slide step into their routine. To continue reading, click here. 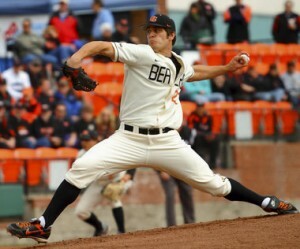 Most College Pitching Coaches Don’t Know Mechanics? We often assume the best when our kids finally make it to collegiate level baseball. Finally, they will get the much needed help and learn all of the secrets of the trade; how to throw harder, how to throw excellent breaking balls, how to stay healthy, get the best pitching workouts etc. Reality is, most pitching coaches at the collegiate level won’t know specifics on how to teach your son pitching mechanics, off speed pitches etc.To continue reading, click here. Tayler Peterson has been working with The Pitching Academy for the last two years. He is working on his curveball this day (about 6 months ago) and the reason why it was a hit and a miss was because, as you will see, he pulls his front elbow and cannot get a great squeeze and swivel affecting his release. Aside from that, Tayler has come a very long way.To continue reading, click here. 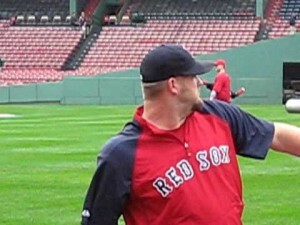 Many people wonder how Major League pitchers throw a ball and make it look so effortless. There is an art and science to throwing a baseball and, once learned, it becomes simple to do. 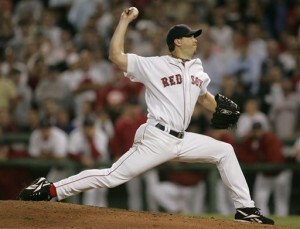 As with any biomechanical process in any sport it takes time to develop proper pitching or throwing mechanics. Most people who want to learn how to pitch a baseball don’t put in the hard work that it requires to master the art of throwing a baseball.To continue reading, click here. Often times baseball players get caught up in perfection. It makes it difficult to enjoy the game and perform at your best when you try to be perfect. 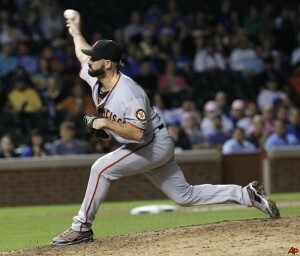 I know at times I get into great depth about how to throw the baseball with proper pitching mechanics; for good reason. But sometimes we forget to simplify a process in our mechanics that can make a significant difference in our overall performance on the mound.To continue reading, click here. 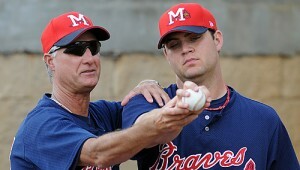 There are many times that being a pitching coach can be frustrating. The most frustrating part about it is there are still way to many old habits being taught that just ruin pitchers. I’m talking about coaches and parents that are still teaching some of the things they were taught as pitchers 30 years ago. The science of pitching has changed drastically since then. Here is a short list of common mistakes you may have been taught growing up or you are being taught right now that just shouldn’t be taught…To continue reading, click here. Playing catch is one of the most important exercises you can do to ensure that your mechanics are in check. Most pitchers, and players, underestimate the importance of playing a simple game of catch as it relates to improving their pitching biomechanics. It’s great skill work. As I have observed many pitchers and players warming up, even in the collegiate level, they don’t take the warm-up as serious as they should. What is the drag line in reference to pitching? We get this question a lot. Perhaps it was Tom House that invented the word but many power pitchers who have been in the major leagues used to do it without knowing it did them any good. 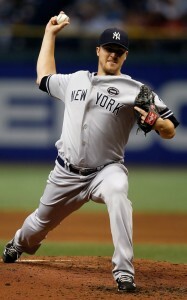 After awhile the drag line became a mechanical must for most pitchers in the major leagues…. To continue reading, click here. Everyone who knows me knows that I enjoy learning something new every day. I’ve always got my nose in a book; mainly self-improvement and baseball books. But I love learning just about anything if it will help me or those around me. Right now I am re-reading the 4-Hour Workweek written by Timothy Ferriss. In his book he discusses how important it is to focus our energy on the things that matter rather than wasting our valuable time working on things that don’t.To continue reading, click here. I have watched the following clip three times today! Nolan Ryan has always been my favorite pitcher to watch. I believe no other pitcher (past and present) compares to him when it comes to sheer talent and longevity. He was still throwing 94-95 miles an hour at 44 years old with the nastiest curveball, many MLB hitters would tell you, that just “dropped off the table“. Just look at the hitters knees buckle when they finally realized his curveball was coming. I have been getting bombarded with questions lately in regards to what professional and collegiate level scouts are currently looking for in pitchers. Everyone thinks that scouts will not even bat an eye at a pitcher if he can’t hit low 90’s on the radar. Wrong! Many people also think scouts are looking for those pitchers who mature at a young age and have dominated since they were very young athletes; along those lines pitchers think they need to be bigger to be able to throw faster. Those are also both myths.To continue reading, click here. 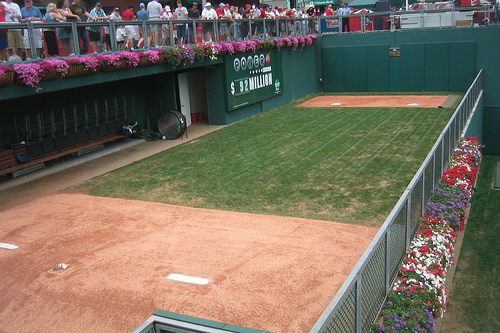 Bullpens give you a chance to regroup as a pitcher and allow you to throw with a purpose. Avoid the “throwing just to throw” mentality; even if you are just playing catch with your friends. Every time you pick up the ball you need to work on something like hitting your spots, off-speed pitches, pitching biomechanics and so on. What do you work on when you throw a bullpen? 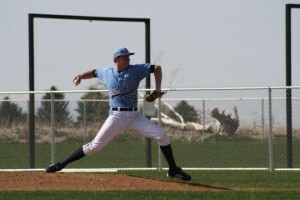 If you are a pitcher, there are a few mechanical “must do’s” to ensure your success. This is certainly one of them! Many of you know by now that throwing a baseball is a sideways exercise or activity to foot strike. That means you don’t begin rotation until just before the front foot (landing leg) hits the ground. That being said, what do you rotate first? The hips of course. Equal and opposite, Flex T position, whatever you want to call it, it works. What is it? 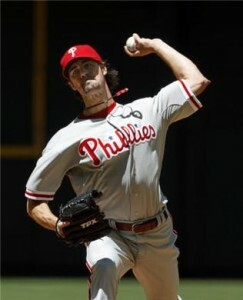 It’s really a balancing act between your front (glove) arm and throwing arm. You need to make sure that the angle of your front arm matches your throwing arm angle. Okay, if that doesn’t make sense take a look at these MLB pitchers. All of them use their front glove arm for balance. It’s hard to explain without writing a novel about it, so I’ll simply show you how MLB pitchers do it right. I often get the question about what to do with your front glove when you begin rotation. Because you want your momentum to go toward the plate throughout your entire delivery, you want to drop keep your glove in front of you until release of the ball. 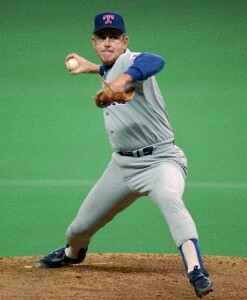 Some pitchers have heard that you want to pull down as hard as you can with your front glove arm to get power. That doesn’t make sense. One of the most frequent questions we get asked time and time again is: Is my son old enough to throw a curveball? That’s a great question and the answer has many parts to it. It’s not a simple yes or no answer. There is no specific age requirement to throw a curveball. 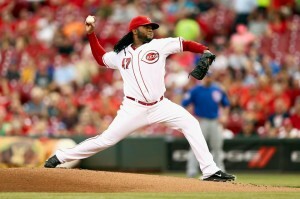 Johnny Cueto Pitching Mechanics: Good Or Bad? If you’re a baseball fan you already know Max Scherzer threw his second no-hit game of the 2015 season. 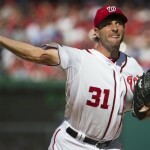 There are many reasons why Scherzer is an incredible pitcher! He’s got great confidence in himself and his ability to dominate on the mound. This confidence comes from years of hard work and dedication to perfecting his craft.